NAMM 2013 PRESS RELEASE: Hamamatsu, Japan - Yamaha Corporation announce a NEW "Mobile Music Sequencer" application running on iPad. The software can be purchased and downloaded from the App Store with immediate effect. The App enables composers to combine a range of phrase patterns to intuitively create new musical compositions, phrases and songs. It can also mix musical content with audio files and upload this to SoundCloud. When composing, users can choose from a wide range of 382 preset phrases, combine them to create user phrases through the input of piano roll accompaniments as well as record sounds in real time through a keyboard on the screen. Using the sequencer's powerful LOOP REMIX function, users can easily create new phrases. By then outputting from Standard MIDI Files, the phrases can be reproduced and edited on Yamaha synthesizers, such as the MOTIF XF and MOX and then refined with other music production software, such as Steinberg's Cubase. Yamaha's Mobile Music Sequencer enables music composers to combine phrase patterns to create sections, and then, by specifying codes and putting the sections in order, they can easily put together an outline of their compositions. The Mobile Music Sequencer can also be used to adeptly change the order of recorded data and prepare variations. This makes it possible for composers to create music intuitively and quickly. Also, as a portable music production tool that can be used in virtually any location and for sketching images and it is just as effective as a full-scale sequencer. The Mobile Music Sequencer includes a software synthesizer that has 92 high-quality sounds. Users can not only choose from preset voices but can also edit the voices by filtering, modifying the sound envelope, and performing other operations. It is also possible to use such special effects as reverberations, choral sounds, and other variations as well as then mix these various creations and, thereby, fill out and expand the image of their compositions while listening to the real sounds. Using the Mobile Music Sequencer, composers can not only choose from a wide range of 382 preset phrases, covering a full range of musical genres, and combine them, but can also create their own phrases through the input of piano roll accompaniment as well as record phrases in real time through a keyboard on the screen. This new products also has a powerful LOOP REMIX function that allows users to rearrange phrases of their choice randomly at specified time intervals as well as insert rolling accompaniments and breaks automatically, thus giving rise to new phrases. In addition, Yamaha offers a data pack, which can be purchased separately from the App Store, containing four types of voices and phrases. 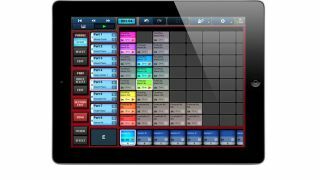 Compositions created using the Mobile Music Sequencer can be enjoyed by reproducing them on an iPad, and it is also possible to play them back and edit them on other equipment. Since the compositions can be output as a Standard MIDI File, they can then be refined and polished by inputting them into music production software, such as Steinberg's Cubase. Also, since it is possible to output the compositions in specified formats as substitute sound for the Yamaha synthesizers, when they are input into MOTIF XF even if the user does not specify voices, the image prepared by the Mobile Music Sequencer can be replayed and edited. In addition, since the compositions can be mixed into audio files, they can be replayed on other applications and uploaded directly into SoundCloud**. * Compatible devices are MOTIF XF, S90XS/S70XS, MOX6/MOX8, and MOTIF XS. 1. Apple, iPad, iPod, and App Store are trademarks of Apple Inc. registered in the United States and other countries. 3. This software is compatible with iPad (third and fourth generations), iPad2, iPad mini, for operating system iOS 6.0, and later versions. 4. Additional voice and phrase pattern packs are available for purchase separately.